Results from the largest prospective study of rituximab use in patients with relapsing ANCA-associated vasculitis show that 91.2% of participants achieved remission. Sarilumab administered every 2 weeks is associated with similar improvements in physical function in adult patients with rheumatoid arthritis, compared with adalimumab. The researchers examined the feasibility and medical economics benefit of online consultation based on Smart System of Disease Management by rheumatologists. Do Bisphosphonates Benefit Patients With Knee Osteoarthritis? Bisphosphonates may still benefit patients who display high rates of subchondral bone turnover. Does Biologic Therapy Up the Risk of Second Malignancy in RA Patients? 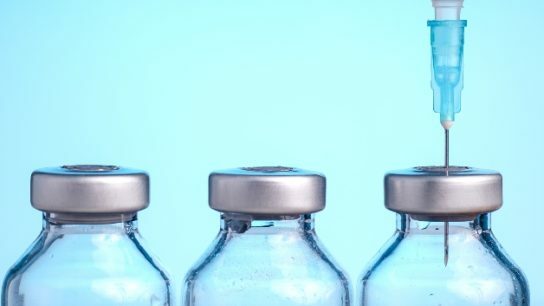 Biologics suppress the immune system and as such, there remains concerns that these medications could increase the risk of a second cancer diagnosis. A total of 462 patients with lupus erythematosus (SLE) completed the questionnaires that formed the basis of the analysis. The National Data Bank for Rheumatic Diseases was assessed and found to include 11,002 RA patients, these were then followed for a median of 5.4 years. Results of the multivariate analysis demonstrated that caffeine intake was associated with hip fractures (P=0.01) and decreased femoral neck BMD (P=0.05) in women over 50 years. Gout management guidelines suggest a goal serum urate (sUA) level of <6.0mg/dL.